What's The Pathway To Outstanding? Effort! The Pathway To Outstanding? Effort. So, effort is the pathway to outstanding. Why, and how? Are you trying to transform your life while doing as little as possible? “I want to feel more confident around others…but I don’t want to go out and talk to people every day. What Is Your Approach To Effort? Are you avoiding effort or moving towards it? I spent a decade of my life in the “avoiding effort” camp. 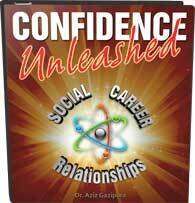 I wanted the end result – confidence, women, money, significance and respect – but I didn’t want to do the steps necessary to create these experiences. No, I wasn’t that conscious yet. Instead, I’d live in my story about why I couldn’t have it. Why other people could get those things, but I couldn’t. Why? Because there was something wrong with me. I lived in my story, my excuses. All of which were complete lies. Absolute untruths that were solid facts in my book. What did your mind say? Because all the good ones are taken. Because I’m fat and ugly. Because I don’t have a good enough job/house/car, etc. Because I have dark circles under my eyes that no woman could find attractive. Because I don’t have muscles that are big or defined enough. Because there’s something fundamentally wrong with me that I can’t even describe. Lies. All of them. All of mine. All of yours. Whatever your mind comes up with is not the REAL reason. We’re scared of putting ourselves out there, scared someone might not find us lovable, scared of hearing “no,” of getting rejected, of feeling shame and embarrassment. Any other reason is just a story, just an excuse that keeps you from needing to face these fears. For example, if I think, “There’s no way a woman like that would want to talk to a guy like me because blah blah blah…” then what is the likelihood that I’ll go talk with her? This story allows me to avoid rejection by avoiding the risk. It won’t work out anyway, so I’m free to not make an effort. Phew! The first step is to acknowledge that the only thing stopping you is fear. The second step is to challenge this fear. Again and again. And this, requires effort. It requires identifying exactly what you do NOT want to do, and then doing it. For example, if you want to meet a woman, and you do NOT want to talk to many different women, then you have to talk with many different women. Not only that, you have to try things that are outside your comfort zone that might get you rejected! If you want to become a natural, charismatic public speaker, you have to find any opportunity you can to speak in a group. In any case, they asked if someone would like to do an impromptu speech. My hand shot up immediately. Not because I felt like it in that moment. Not because I felt confident. On the contrary, I was terrified. It was because I knew the only way to get to where I wanted to be (an outstanding public speaker), was the put myself out there as much and as quickly as I could. Where are you avoiding effort? What stories are you telling yourself? To learn more about how to overcome your fear of public speaking, go here and enter your email on the right to get my free eBook about the topic. 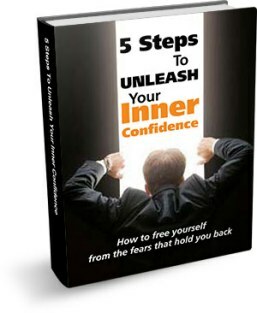 To step up your game in all areas of your life, go here to get Confidence Unleashed, which will teach you how to explode your old stories and create new ones that change your life.